Safe drum handling requires well-designed, ergonomic drum handling equipment to minimize risks of injury or property damage. 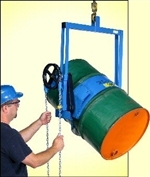 Morse Hydraulic drum lifters are the perfect drum dumpers for your facility. 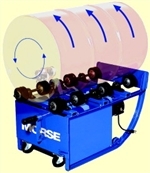 The safety conscious MORStak Forklift Mounted Drum Rackers allows you to move drums on and off racks, pallets, trucks, etc. with your forklift. 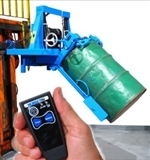 Use these below the hook drum lifters with your hoist or crane to control the pour of drum contents when they are outside of your reach.